Dissidia has always occupied a very strange place in Final Fantasy canon. On one hand, it’s extremely non-canonical in the strictest sense. The series began life as a Playstation Portable game centered around one-on-one combat between various heroes and villains from the numbered Final Fantasy games who had been transported onto a different plane of existence for the sole purpose of, well, fighting each other. Given that each Final Fantasy game is assumed to exist in its own universe, there is absolutely no reason for these characters to interact at all. Most fans of the series at the time, I believe, either found it to be a very weird and interesting game or tried to forget that it existed at all. On the other hand, however, in recent years Final Fantasy has developed a sort of cross-dimensional ‘canon’. Through various spin-off games and crossovers with other properties, dimension-hopping in Final Fantasy has become at least a little more of a routine thing than it was when the first Dissidia game was released. Given that, the existence of a plane in which characters from multiple worlds in what is becoming a Final Fantasy multiverse show up to fight each other in the vein of Marvel’s Secret Wars storyline doesn’t seem like such a farfetched idea. The truly difficult part of this endeavor is taking the various soundtracks from the different Final Fantasy games and trying to merge them into one cohesive whole. This time around, the effort has been taken up by Takeharu Ishimoto, Keiji Kawamori, and Tsuyoshi Sekito. 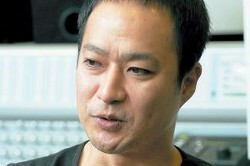 Ishimoto is a veteran of modern Square Enix sound design, having worked on Legend of Mana, Vagrant Story, Final Fantasy X, and a number of spin-off games including Crisis Core: Final Fantasy VII and Kingdom Hearts: Birth by Sleep and Dream Drop Distance. Kawamori brings his experience as a sound programmer and a performer on several Square-Enix soundtracks including Crisis Core and Final Fantasy XIII, and as an arranger for Dissidia 012 [Duodecim]. Sekito has appeared as a performer on Final Fantasy X and XIII as well as on several Front Mission games. In addition to these already outstanding credentials, both Kawamori and Sekito have performed with Nobuo Uematsu in his band The Black Mages, which played rock and metal rearrangements of Uematsu’s most iconic themes from his long history composing for Final Fantasy. Looking at their work history, anyone would say that these three have the experience required to attempt the massive undertaking that selecting and adapting themes from every numbered game in Final Fantasy history into one coherent whole would require. The interesting part about the Dissidia NT soundtrack is that feels like a combination of two albums mixed into one. The first part, composed entirely by Ishimoto, consists of the original tracks specifically written for Dissidia NT. With these tracks, Ishimoto seems to be aiming for a certain Final Fantasy feel, for lack of a better way to describe it. Similar to how the characters from the various Final Fantasy games find themselves in a world comprised of locations derived from their memories, the original Dissidia NT tracks feel ‘familiar yet different’. This is best illustrated in ‘Reflection’, which is a minor key version of the familiar Final Fantasy prelude that anyone with any experience with the series as a whole has heard at least once. It would be far more interesting, then, if these tracks were not so similar to each other. While there is not actually very much story mode in the game itself for these songs to occupy, from a listening standpoint I kind of wish that most of the original songs were not mostly just renditions of the main theme, ‘Dissidia’. Throughout the soundtrack, we have the version played for ‘Mode Selection’ and ‘Customization’, which are orchestral versions of the theme, and one titled ‘Burgeoning Life’, which mixes this theme in with the same minor-key prelude used in ‘Reflection’. Aside from these, there are the more rock-focused versions of this theme used in ‘Character Selection’ and ‘Briefing’. There is even a version titled ‘Get Into Gear’ that is very reminiscent of something from the Crisis Core soundtrack, which is fitting given that it was one of the earlier soundtracks that Ishimoto had worked on. The fact that the best original song on the album is also a version of the main theme more or less does a disservice to every other version of it. In keeping with the theme, there are two versions of this song as well. The first and lesser of the two is titled ‘Explosion’ and is a vocal track with a vaguely Final Fantasy feel to it, which keeps the theme of ‘familiar yet different’. The second version, which carries the appropriately hyperbolic title ‘Massive Explosion’ takes that theme and turns it into what is, for lack of a better description, the opening theme to a shounen anime. To be clear, this makes it awesome. The premise of the Dissidia series is already ridiculous enough that having a theme song that layers power metal guitars over vocals that are highly energetic and inspirational nonsense just feels like a weird sort of right. It was, in fact, this song that made me want to like the rest of the soundtrack as well as the entire game that contains it just because a song can’t go that completely and awesomely ridiculous without believing in itself wholeheartedly. Again, the only bad part about this version of Dissidia’s main theme is that it makes every other version of the theme completely irrelevant by comparison. I could listen to ‘Massive Explosion’ on repeat and be perfectly content, and I can neither confirm nor deny that I have actually done that exact thing. This brings me to the second part of the album, which is made up of the rearranged tracks from other Final Fantasy games. In my opinion, a good rearrangement should do one of two things: present a familiar and popular track in a new and interesting way, or takes a track that has not gotten as much exposure or was not as noteworthy and makes something memorable and special out of it. A rearrangement that does not succeed is one that does neither of those things, or worse, does not maintain the spirit of the original track. The Dissidia NT soundtrack unfortunately, is kind of all over the place in this regard. There is a lot to like here, but at the same time, there are several tracks that just kind of make me raise an eyebrow and wonder why. The first category I’m going to sort these rearrangements into is the category for tracks that are just really solid arrangements of the songs that more people know. One of the best examples of this is the track ‘Protect the Espers’, which takes one of the most energetic battle themes from Final Fantasy VI and plays it more or less straight. It still maintains the basic feel of the track and the energy that it contributes, even though the arrangement itself doesn’t contain a whole lot that is new. ‘Let the Battles Begin!’ from Final Fantasy VII relies a lot on synth and electronic beats, but the original version of the song was very synth-heavy as well so in my opinion this version definitely keeps the energy and spirit of the original and has grown on me since my first listen. Other rearrangements in this category are ‘Maybe I’m a Lion’, from Final Fantasy VIII, ‘The Darkness of Eternity’, from Final Fantasy IX, ‘Battle Theme’, from Final Fantasy X, and ‘Stand Your Ground.’ from Final Fantasy XV. These songs all carry the same Black Mages-style heavy metal theme to them, and in these cases they work really, really well. 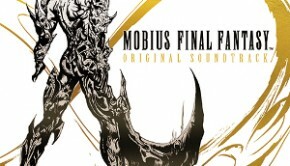 The same can be said for the Final Fantasy XIV tracks ‘Torn from the Heavens’ and ‘Nemesis’. These are two of the most well-known battle themes from the game, and the hard rock rearrangement really suits those songs without taking away from their spirit. All of the tracks from Final Fantasy XII are also very solid rock arrangements that take the original songs, which were already among the best songs from the series, and add a new twist to them to make them feel new all over again. Probably the greatest example of a solid arrangement that keeps the spirit and intention of the original is ‘Dancing Mad’ from Final Fantasy VI. This arrangement takes the final movement in that well-known and well-loved final battle theme and crafts it into something that would belong perfectly on Metallica’s definitive 1980’s heavy metal album Master of Puppets. Given that this era of music was a definite inspiration on Uematsu himself throughout his career, this is a fitting arrangement that pays tribute to everything that went into making the Final Fantasy VI soundtrack stand the test of time. The second category is a really interesting one which involves taking songs that didn’t really get a chance to shine in their original soundtrack and contexts but which clearly benefit from a rearrangement. In particular, I want to point out ‘Eden Under Siege’ from Final Fantasy XIII. The soundtrack to this game has always gotten a mixed reaction from fans, and quite unfairly in my opinion. This song was never a standout track from it, but Sekito has taken it and added a driving drum beat and electric guitars that makes it sound like something right out of Halo. The soundtrack from Final Fantasy Type-0 also wasn’t one that has typically gotten a great deal of attention or recognition among fans, and yet ‘War: The White Weapon’ and ‘War: Warrior Worth a Thousand’ both benefit from an energetic rock spin. From that same soundtrack, ‘Servant of the Crystal’ really stands out as an example where the addition of new vocals really adds to an already good song from an underappreciated soundtrack. Finally, ‘The Rebel Army’ from Final Fantasy II gets the same energetic heavy metal treatment as ‘Dancing Mad’ did, and in this case it elevates a song that has probably gone unheard for all but the most devoted fans into something that really fits Dissidia’s theme of fast-paced combat. The third and final category of rearrangements here is where things get weird. This is where a song that most would consider familiar in some manner gets rearranged in a completely different style with mixed results. I can appreciate the effort being put into trying new and different things, but just like with anything experimental, sometimes it works and sometimes it doesn’t. Sometimes, such as in the case of the interesting ska version of ‘Main Theme’ from Final Fantasy I, the style really doesn’t fit anything I would have imagined that song being played in, but it’s just catchy enough to grow on me. Final Fantasy VIII’s ‘The Man with the Machine Gun’ doesn’t really get a new style, per se, it just gets made into the cheesy 1980’s action movie theme that it was always meant to be in the first place. While I can’t claim that this makes it a better song, it definitely benefits from the same kind of nostalgia that made Thor: Ragnarok so incredibly relatable as a statement on the style of a certain era. ‘APOCALYPSIS NOCTIS’ receives an almost complete transition of style from its original which turns it into something that sounds like it came off of a Kingdom Hearts soundtrack, which is impressive given that the original version was composed by Shimomura herself. And finally, in the ‘weird but it still works’ category, the songs ‘Veiled in Black’ and ‘Careening into Danger’ from the same soundtrack are slightly shifted into something that would be right at home on Muse’s Black Holes and Revelations album right beside ‘City of Delusion’ and ‘Knights of Cydonia’. As I said before, not all the experiments work. There are tracks on the album where the intention was clear, and yet the execution was not really on the same level as some of the other tracks. One disappointing example of this is Final Fantasy XIV’s ‘Ominous Prognisticks’, which replaces the choral overtones of the original with a single vocalist who is in some way I can’t quite describe a little bit off in her delivery of the main melody. Final Fantasy III’s ‘Crystal Tower’ receives the same ska-inspired treatment as Final Fantasy I’s ‘Main Theme’, and yet this time around the style doesn’t really make the song into anything catchy or enjoyable. Final Fantasy I’s ‘Opening Theme’ is done completely in a sort of distorted synth that doesn’t do it any favors and in fact makes the song into something grating and actively unenjoyable. Finally, the nostalgic 1980’s-inspired rearrangement that makes ‘The Man with the Machine Gun’ perfect, even ironically, completely destroys ‘The Extreme’. While the former was always supposed to be a take on action movies from that era, the latter was never supposed to be anything at all resembling that, and so to hear it played in the style of something from Miami Vice just feels wrong. If I were to judge the various parts of this soundtrack by composer, I would say that Sekito’s contributions are the most consistently good. Admittedly, this has a lot to do with my own personal preference toward rock and metal arrangements, but it also has to do with the fact that he seems to stay the closest to the core of what the the songs he is arranging originally started out as. Kawamori branches out a bit more and is mostly successful, though he contributes the fewest tracks to the soundtrack as a whole. Ishimoto is by far the biggest contributor and his tracks vary the most wildly in style and overall quality. I know that it can be difficult sometimes to get consistency of any kind when there is more than one composer working on something, especially when that something is an album of rearrangements from a series with so many games and so much variance to it. I can also say that I appreciate the willingness to try out a lot of different experiences and to see what sticks. I don’t know if the world really needed a chiptune version of ‘Battle with Seymour’, after all, but by God it’s there, and the fact that it isn’t horrible is something of a miracle. I would imagine that one’s appreciation of the Dissidia NT soundtrack would rely on whether one was going into the listening experience expecting a soundtrack or an album of re-arrangements of familiar themes. In the case of the former, there’s a lot of disappointment to be found here. Admittedly, picking and choosing tracks from seventeen games’ worth of music and then wrangling the selections into anything resembling a coherent style would be at best extremely difficult. I do think that it can be done, though, as proven by acts such as Distant Worlds and the aforementioned Black Mages. In addition to that, there is not enough variety in the original tracks to really elevate the soundtrack into something truly great. As good as the various versions of the main theme are, they do get really repetitive after hearing the same one or two melodies in each original track on the album. The fact that ‘Massive Explosion’ is so good actually manages to add to the problem a little, because it is a track that stands up so well on its own and does not deserve to be played alongside lesser versions of itself. In the latter case where one would treat it as a ‘greatest hits’ style album of rearrangements, it is a bit better. Something like that, in my opinion, works better when there isn’t a coherence of style. In a rearrangement album on which multiple composers have collaborated, it is great to see what each individual brings to the table in terms of style and technique. Even in the cases where the tracks do not appeal to me on a personal level, I can at least sometimes appreciate when something new has been tried with a familiar track. That being said, for every arrangement that takes a familiar track and knocks it out of the park or one that takes an unfamiliar track and makes it memorable, there is another arrangement somewhere on the album that is either uninspired or else clashes so much with its original style or the tracks around it that it’s jarring. This is very much an album of extremes, and the average of two extremes is something that fits squarely in the middle. In addition to that, if this was meant to be a ‘greatest hits’ of Final Fantasy battle themes there are one or two songs from classic Final Fantasy games that I would have expected to be on here and weren’t. This is not necessarily a terrible thing as there are also tracks that were not memorable in their original forms that did make the cut, it’s just that some absences are noticeable. 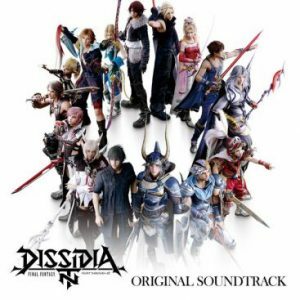 All in all, the Dissidia NT soundtrack is very much like the game itself: an exercise in rearranging something familiar into a new style that is amazing when it works, disappointing when it doesn’t, and averages out to something that is up to each individual listener to decide the final verdict on. For this listener, the flaws are outweighed by the merits, but nowhere near enough to mask them. Posted on March 28, 2018 by Greg Fisher. Last modified on March 29, 2018.